The photo above was shot by Jeromy Rose in Richwood, WV on June 23 this year as floods devastated his town. Much of West Virginia had rain totals of 8 to 10 in as little as a few hours. 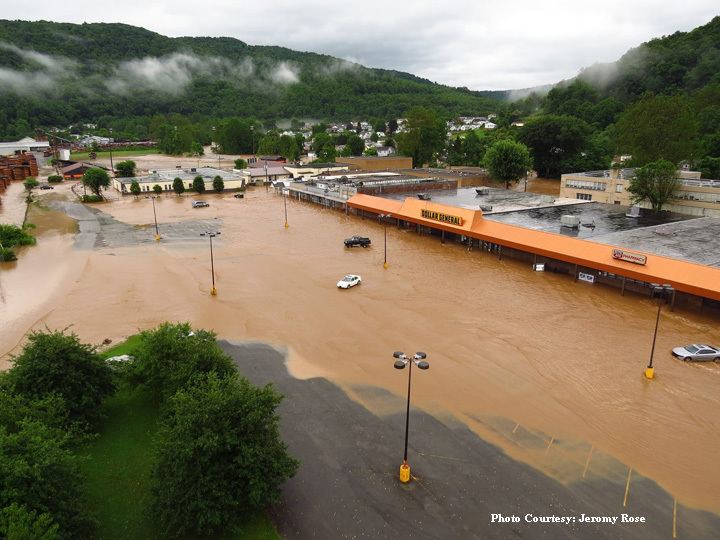 It was the third-deadliest flash flood in West Virginia’s history. Operation Photo Rescue (OPR) is in the process on finding a location where we can come and have a copy run to digitally copy damaged photos that will later be restored by OPR volunteers. Later those photos will be printed and mailed home free of charge. Because of the widespread damage throughout the state; we are hoping to train local volunteers that can reach residents that we couldn’t. The most important thing is to get the word out on how to care for damaged photos and prevent people throwing away photos that could be saved. Once a location has been settled on we will be get the word out with the local media and also have fliers that can be sent out online. 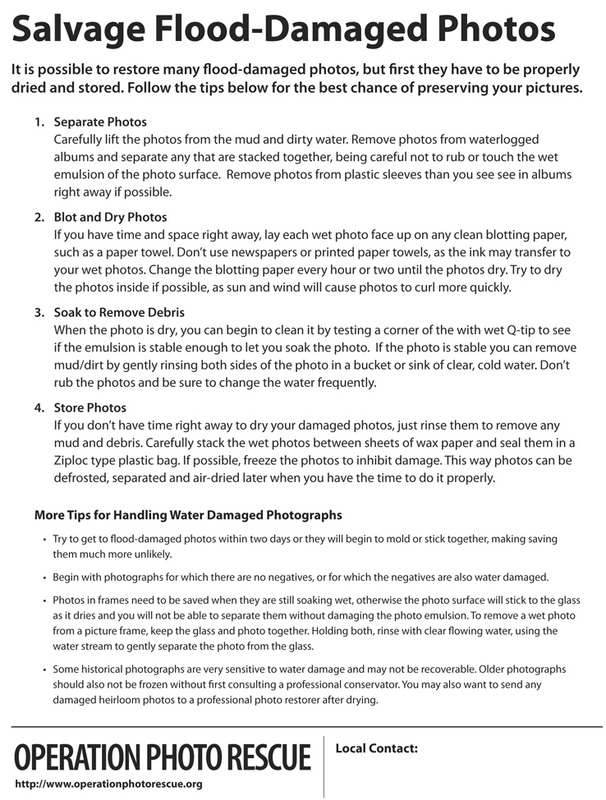 Below are instructions on the care of flooding photos. Often times getting them cleaned up and naturally dried will be all that is needed. It is important to get photos out of scrapbooks, especially those in plastic covers. With the proper care it will prevent mold setting in and destroying the photo(s) overtime. Another important consideration is that mold is health hazard.